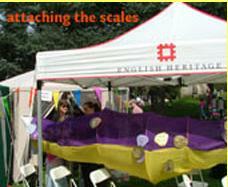 Ballyhoo Arts attended The English Heritage 'St Georges Day' Event at Wrest Park in April 2006. 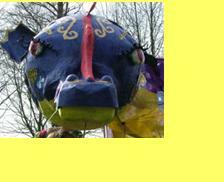 Each day, Ballyhoo Arts artists helped young visitors decorate a giant dragon that was then processed in the Grand Parade. 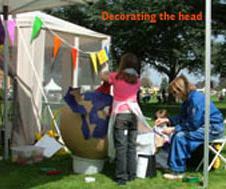 Alongside the dragon making, we also facilitated a 'make & take' on a St Georges day theme.